There’s something very special about being able to share your love of books with people and see them discover new worlds because of your recommendations. Making a difference to how people view the world through the lens of the books they read is definitely my favourite thing about being a bookseller. The last book I read which affected me greatly and I can’t recommend enough is Tin Man by Sarah Winman. It’s so beautifully written and the way in which Winman writes takes the reader into an emotional space where every aspect of human experience can be explored. Every adult should read this book! 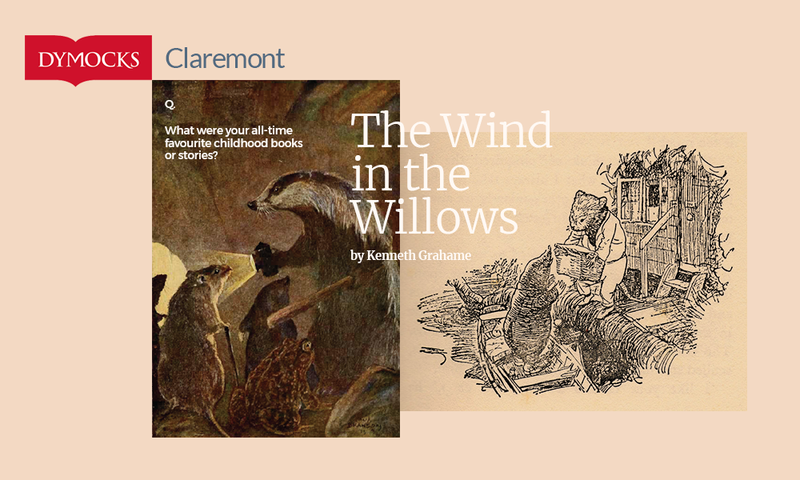 My favourite childhood book (and it’s still in my top 10) is The Wind in the Willows by Kenneth Grahame. The wonderful adventures of Rat, Mole, Toad and Badger populated my childhood imagination and I still think of those characters as old friends. I’d love people to know that although we all have vastly different interests, the thing that drives everyone at Dymocks Claremont is our love of reading and our desire to share that with everyone who walks into our store. All booklovers are welcome! The team from Dymocks, Claremont, will be running our Festival bookshop, so make sure you swing by to say hi - and grab a book!